Theta meditation music is said to be capable of promoting “super learning”, enhanced creativity, ideas cultivation and deep relaxation. 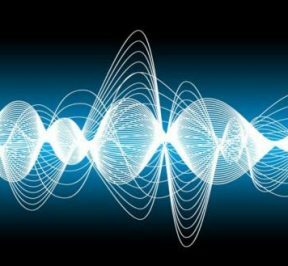 In this post we explore these claims and study how and why theta waves are so powerful. Theta waves are very slow, and as such are associated with deep relaxation. We typically drop into the theta state when we are totally chilled out, before going to sleep or when we are meditating. To quote author Michael Hutchison, the theta state is often “indicative of deep reverie, mental imagery, and access to memories”. It could be said that the theta state is akin to dreaming while awake. Like the currents of electrical devices, brain waves are measured in hertz. The theta zone is between 4 and 7 Hz. The only state slower than this is the state of delta brain waves – which are produce in abundance when we are in deep sleep. Theta is the state of relaxation, and really is a wonderful realm to slip into and escape the world. When the brain is producing theta brain waves in abundance you will feel deeply relaxed; like being on a lilo out at sea, suspended somewhere between dreaming and being awake. It's a neutral zone where the mind is present in the moment, attached to nothing and totally centered. You may have guessed that what I am describing here is pretty much the state of meditation, which, of course, is why theta meditation music is so popular. Dr Thomas Budzynski, one of the world's foremost authorities on bio-feedback, states that theta can induce “a sensation of detached relaxation with results ranging from drowsy, (hypnotic) like states, to vivid, holograph-like images”. That sounds a little trippy, but those using theta meditation music often report powerful, vivid pictures ranging from psychedelic spectrums of colours to powerful visualizations. The reason for this is that theta waves stimulate the third eye, which is why we use theta waves for spiritual meditations used to cultivate higher awareness, such as astral projection and spiritual awakening. This is demonstrative of the power of theta waves to stimulate intuitive awareness and spiritual consciousness. Leading chemistry professor, Thomas Taylor, from the Texas A&M studied students using an EEG machine in an attempt to analyse ‘synthesis thinking' – which is basically the study of how people come up with creative ways to solve a problem. Taylor found that “during the chance moment in which a difficult concept suddenly ‘made sense' (the subject) showed an abrupt change in brain wave patterns in the theta range”. A lot of people spontaneously told me that they've felt much more creative”. His personal experience backs this up; “I've found that using the theta frequency I get that kind of response on myself as well, increased creativity. There is also a lot of evidence that entraining the brain to the theta state promotes high learning, or “super learning”, as some refer to it. Bio-feedback expert Dr Budzynski notes that theta brain waves, if used appropriately, could “dramatically boost one's learning abilities” and “enhances the absorption of the material … (as) a lot of work gets done very quickly”. Dr Budzynski goes on to say that theta waves help us absorb whatever material we're presented with in an “uncritical fashion, thus circumventing certain resistances present in the fully conscious state”. 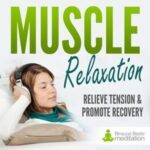 In short, regular entraining of the brain into the theta state not only helps relaxation and stress relief as discussed previously, but can also boost learning ability, eliminate negative thinking and build stronger confidence and self esteem. This is the primary reason theta meditation music is commonly used in cognitive behavioural therapy and to help combat symptoms of anxiety and depression. Theta brain wave activity helps us to absorb specific messages in an”uncritical fashion”, allowing us to communicate with the subconscious mind at a deeper level, helping us make gains in learning processes much faster than by conscious effort alone. Sit down somewhere comfortable, preferably free of distraction and where you are unlikely to be disturbed. Put on your headphones and start to slow your breathing down by taking long, deep breaths. Focus on the breath entering your body, consuming your internal body and flowing back out into the world. This is a practice commonly used in traditional meditation and will slow your mind down. The aim is to “let go” of your day and float completely into the present. 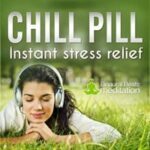 Because brainwave entrainment works without any conscious effort, you'll soon find yourself drifting into a peaceful, calm and relaxed state within just a few minutes. It's delightfully simple, blissful and beneficial. Just let your mind go and enjoy feeling relaxed and happy. A great tip is to place a pen and pad beside you, so that when you finish you can note down any inspiration, be it creative or spiritual that entered your space during your meditation. 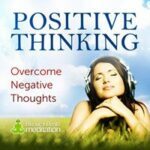 Try theta meditation music with one of our theta meditations.